It's great to see articles about the benefits of yoga at the start of 2019. But don't know how headlines like this one from The Guardian 'I'm still terrible at yoga, 14 years after I started...' help the cause. I started practicing around 10 years ago. It took me a long time to feel comfortable with the physical side of yoga and there are still plenty of poses I struggle with. Does that make me terrible at yoga? Of course not. It's impossible to be either good or bad at yoga. That's the point. The only way to be really terrible at yoga is to not honour the spirit in which we all practice. I have friends and family who I wish would take up yoga for their health and sanity. I'm sure you do. These people need to feel yoga's accessible for them. 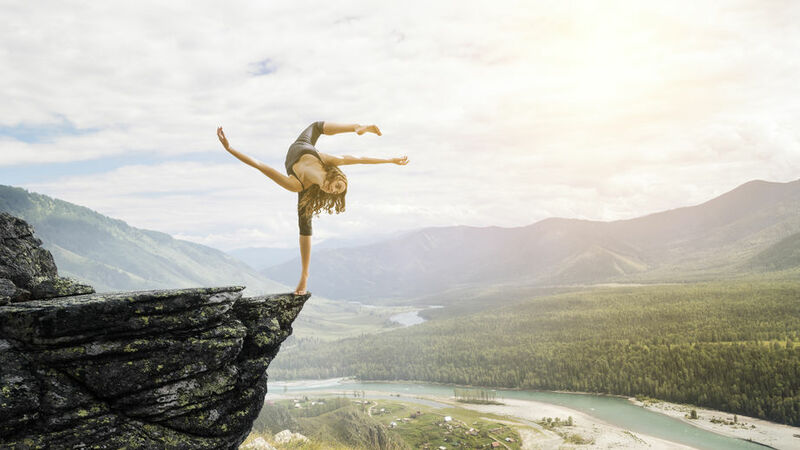 Even though it's preposterous, pictures like the one at the top of this email contribute to the idea that yoga is only for the most bendy, intrepid and photogenic among us. We all know that so many of the real benefits of practicing are experienced within. But you can't show that in an Instagram gloatagraph. So, when we write about yoga, we've got to choose our words carefully. What's got the writer hooked is the fact that her yoga practice makes her feel fantastic. I only know that because I read beyond the headline. How many people didn't bother? If we're in a position to influence anyone's opinion about yoga, we shouldn't be putting ourselves down. We should be elevating the practice and what it gives us. I invite you for a free 30-minute consultation about your writing and how you can perhaps combine it with a yoga practice in 2019.